A sucker is still born every minute. In this modern and interconnected world, con-men are lurking everywhere - it's never been easier for them to dupe us, take from us, and infiltrate our lives. One of the world's leading and celebrated experts on con-games takes the reader through the history of cons, how they've been updated to the modern age, how they work, how to spot them, and how to protect yourself from being the victim of one.R. Paul Wilson is a con-man who works for the other side - our side. He has spent a lifetime learning, performing, studying, and teaching about the ins and outs of the con world in order to open up our eyes to the dangers lurking about us - and to show us how not to get taken. 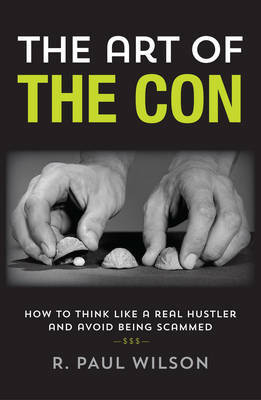 Paul has never made a living as a con-man, profiting off of marks - he has used his expertise throughout his life to help people avoid cons.In this fascinating book, Paul takes the reader through the history and developments of the con game, what elements from the past are based on basic human psychology and have stood the test of time, what has been updated for the modern era and how it's getting used in the computer age, the structure of how these cons work, and - most importantly - how to recognize one, protect yourself and your loved ones, and avoid becoming just another sucker.